Evan P. Bennett has a new book entitled When Tobacco was King. The Florida Bookshelf has brief description of his new book. In When Tobacco Was King, Evan Bennett examines the agriculture of tobacco, the South’s original staple crop. Advances in technology and shifts in labor and farming policy have altered the way of life for tobacco farmers, but rather than putting an end to tobacco culture, these developments have sent it in new directions and accelerated the change that has always been part of the farmer’s life. From Emancipation to the abandonment of federal crop controls in 2004, Bennett highlights changes endured by blacks and whites, landowners and tenants to show how tobacco farmers continued to find meaning and community in their work despite drastic changes. 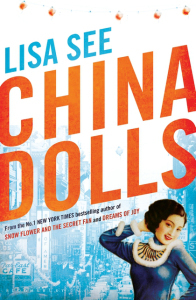 Victoria Best has reviews of two books, Lisa See’s China Dolls and Jo-Ann Mapson’s Owen’s Daughter, at her blog Tales from the Reading Room. Best found both of the books to be interesting and engrossing. Check out her reviews. A.M.B. at the Misfortune of Knowing addresses Horace Engdahl criticism of the professionalization of writing. Instead of having normal jobs, writers can now get support from foundations and educational institutions that allow them to write full-time. Engdahl thinks the failure of writers to get real jobs will rob them of the experiences they need to become good writers. She points out that there is a “kernel of truth in his words: experience matters.” Do you agree with A.M.B.? 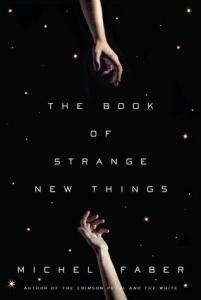 A Little Blog of Books has a review of Michel Faber’s anticipated new book The Book of Strange New Things. This genre crossing book combines science fiction and biblical elements to tell a story about a pastor ministering to inhabitants of another planet. Check out Little Blog of Books new review. I was lucky enough to receive an advance review copy of Michel Faber’s new novel ‘The Book of Strange New Things’ which is due to be published in the UK this month. It tells the story of Peter Leigh, a Christian minister who is chosen by a mysterious corporation called USIC to embark on an out-of-this-world mission to a planet called Oasis in a far-away galaxy. Expecting a hostile reception from the native population, Peter is surprised to find the Oasans are keen to learn from the Bible which they refer to as The Book of Strange New Things and discovers that he isn’t the first pastor to visit them. However, Peter’s pregnant wife, Bea, is struggling to survive as various apocalyptic events unfold back on Earth which is putting a strain on their extremely long-distance relationship. The History Manifesto is new book from Jo Guldi and David Armitage that argues historians need to shift back to longer-term narrative history. This may help historians recapture the prestige and influence that allowed them to help shape public policy. The shift to microhistories (writing about time periods of 30 years or less) has limited historians influence. Guldi and Armitage believe that the shift to longer narrative histories will encourage policy makers to take a longer approach to issues relating to human rights and the environment. The authors want the entire history profession to shift to long term thinking. Guldi and Armitage make a fascinating argument. Additionally, new digital analytical tools will make it easier for historians to research and write about longer periods of time. Whether or not this shift would increase the prestige and influence of historians is debatable. There are a number of reviews about The HIstory Manifesto online. Scott McLemee has a brief review of their book at Inside Higher Ed. Here is a short interview with the authors where they describe their project. Ever wonder if it would be better to work on Broadway or a Ballet Company? Lee Wilson explains why she ultimately shifted from ballet to Broadway in her this post. She is also the author of her new memoir, Rebel on Pointe: A Memoir of Ballet & Broadway. When Lee Wilson first began dancing, she wore tap shoes and took lessons in her neighbor’s basement. “I loved the scraping sound of taps brushing across the cement floor, the clicking sounds of the heel taps, and the crash of a full-footed stomp,” Lee recalls in Rebel on Pointe, her memoir that we published this past Tuesday. 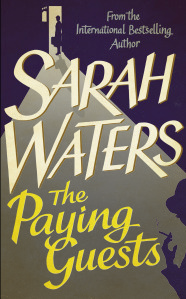 A Little Blog of Books has a review of one the Kirkus Prize Finalists for Fiction, The Paying Guests by Sarah Waters. I feel very spoilt having two of my favourite authors publish new books this summer. First, ‘Colorless Tsukuru Tazaki and His Years of Pilgrimage‘ by Haruki Murakami and now ‘The Paying Guests’ by Sarah Waters. Set in London shortly after the First World War, unmarried Frances Wray and her widowed mother have fallen on hard times and are forced to rent out rooms at their home in Camberwell. Frances becomes increasingly close to their young and modern “paying guests”, Leonard and Lilian Barbour. 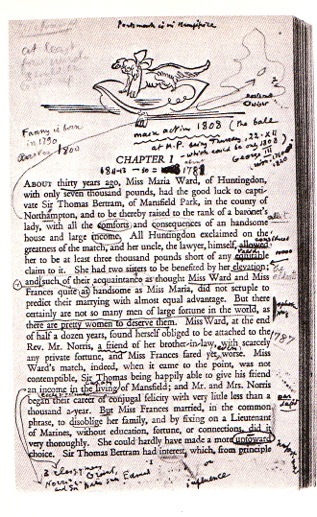 However, her relationship with Lilian soon triggers an unexpected and violent chain of events.